A woman hoping to see her mother alive one last time was told to get off a United Airlines flight that she thought she had a ticket for. Carrol Amrich wanted to fly from Colorado to Minnesota after learning her mother was in the hospital. Her landlord, Ines Prelas, bought a ticket for her with United. She purchased the ticket through online ticketing agency Traveler Help Desk, according to the The New York Daily News. When Amrich learned that her mother’s condition had worsened, Prelas pitched in more money to get her on an earlier flight on Jan. 16. Amrich had no problem boarding the flight. She even stowed her bag and buckled into her seat. But then a United agent told her she had to get off, informing her that her ticket was canceled, according to Daily News. “I knew at that time I’d never see my mother again,” Amrich told the Daily News. Traveler Help Desk confirmed that they canceled the ticket, thinking it was fraud because of the switch to an earlier flight. They claim that they weren’t informed that Prelas was going to switch the ticket directly through United without telling them. Prelas said United told her there wouldn’t be a problem if she changed flights directly through them. Traveler Help Desk told The New York Times that representatives tried multiple times to reach Amrich before canceling the ticket, although Amrich and Prelas dispute that. “I said, ‘Take my credit card. We’ll straighten this out later, but get her on that plane,” Prelas told the Times about her conversation with United. Amrich told the Daily News that United showed her no sympathy and refused to let her back on the plane, but United claims the airplane had already left by that time. Seeing no alternative, Amrich decided to drive. 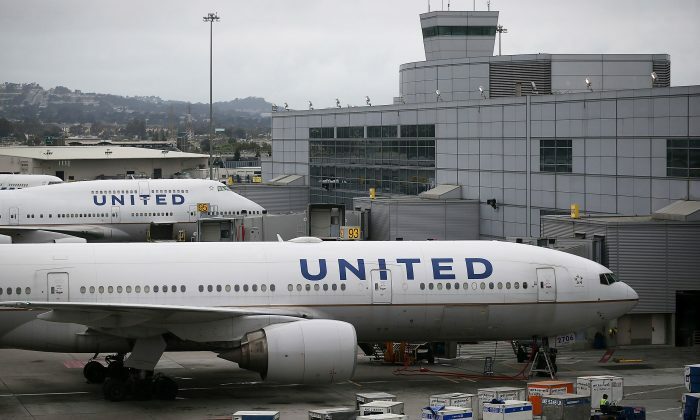 A representative from United’s headquarters contacted Prelas the next day. The rep wanted Amrich’s address to send flowers, according to the Times.